The most heart-wrenching country songs employ metaphor like a splash of cold water. They wake you up with a shock; blinking, you see the world just a little bit differently. Consider "The Grand Tour" as sung by George Jones, or Lee Brice's "I Drive Your Truck." In both songs, symbols of status and comfort become sites of grief's rituals: the empty house where an abandoned husband drifts from room to room; the vehicle, behind the wheel of which a brother mourns, surveying its contents, like the 89 cents his soldier-brother left in the cup holder before deploying to the battlefield that took his life. 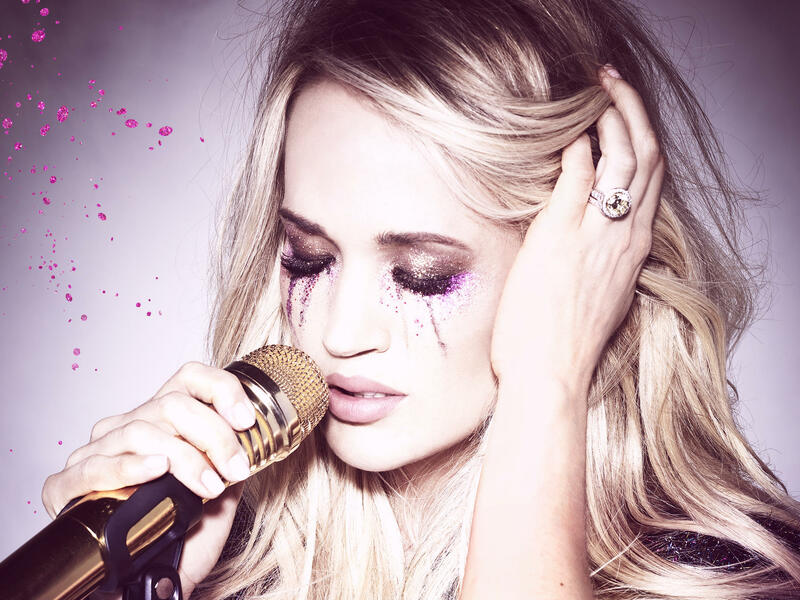 Now The Love Junkies – the songwriting team of Liz Rose, Hillary Lindsey and Lori McKenna, joined here by Underwood, too – have given this tears-inducing formula a classically feminine spin, with Carrie Underwood bringing it to melodramatic life on "Cry Pretty." "You can't cry pretty" is the punchline in this monologue from a willfully demure belle who, from the beginning, is making excuses for herself. "I'm sorry, but I'm just a girl," Underwood murmurs, with just a little bit of grit in her voice, suggesting she might not be apologizing for very long. And yes, by the time she arrives at that second "sorry" she's spitting a little bit about how she's expected to present herself in a way that people like. She tries, she really does, but "you can't fight what the truth is." Then comes the key change, along with a list of all the things Underwood's ingénue can do "pretty" – smile, lie, walk away, generally be a fake. "But you can't cry pretty," Underwood wails — as only she can among contemporary country artists. It's an invocation of all the great divas who've wielded the crying metaphor as a means to challenge the truth of the feminine dignity trap: Mary J. Blige with "Not Gon' Cry," Mariah Carey with "I Don't Wanna Cry," Melissa Manchester with "Don't Cry Out Loud," Dinah Washington (whom Justin Timberlake would later trickily imitate) singing "Cry Me a River." Underwood's performance communicates the same weary rage these classics do, the injustice of being expected to keep it together so that the world is a little better-looking, a version of country's tragic punchlines that could only be sung by a woman. Men are never asked to cry pretty (or do much else pretty, for that matter). Women look in the mirror and see not just their own pain reflected, but also the cost of hiding it. "Cry Pretty" works not only as a classic country song with soul at its cathartic heart, it's also a message from Underwood to her fans, part of her careful cultivation of persona. Last fall, Underwood reportedly took a tumble outside her Nashville home, injuring her wrist and her face. She's been mostly absent from the public eye ever since. The extent of her facial injuries remains unknown and has become a matter of much gossipy speculation. This Sunday, she will appear on the ACM Awards, one of country's biggest annual nights. "Cry Pretty" sends a message ahead of that return: though her carefully maintained beauty is certainly a selling point, Underwood can only be as pretty as circumstances (and, perhaps, a top medical team) allow. And besides, it's the voice that matters, not the look. In Underwood's hands, a song like "Cry Pretty" becomes a subtle feminist anthem about how, for women performers, a focus on glam often obscures the artistry. The best pure singer in country is, to many, better known for her makeup routines and array of awards-show outfits than her voice. Underwood has been complicit in developing this image, but she's also plain gifted enough to see a way to walk away from it. Several contenders with Oklahoma ties have been nominated for Grammys. Check out this complete rundown from The Oklahoman's Brandy McDonnell.